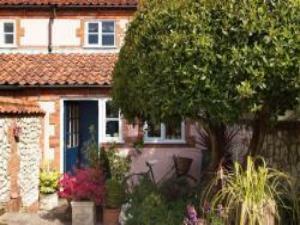 Bluebell Cottage01263 715779work01603 870304fax Self-cateringThis pleasant flint and brick property sits in a secluded street. Featuring modern utilities, comfortable furniture and tasteful decoration, this cottage is great for families and smaller groups. Guests can enjoy relaxing in the wonderful south-facing garden, or venture out and try the great food both the pubs and restaurants in the local area have to offer. This pleasant flint and brick property sits in a secluded street. Featuring modern utilities, comfortable furniture and tasteful decoration, this cottage is great for families and smaller groups. Guests can enjoy relaxing in the wonderful south-facing garden, or venture out and try the great food both the pubs and restaurants in the local area have to offer.